The Club operates on a volunteer basis with a main Management Committee, under the Club Chairman, overseeing all business matters. The Ladies Section and the Short Mat Section have their own committee structures to deal with the day to day detail in their respective areas but representatives from these two sections are members of the Management Committee and report to it. 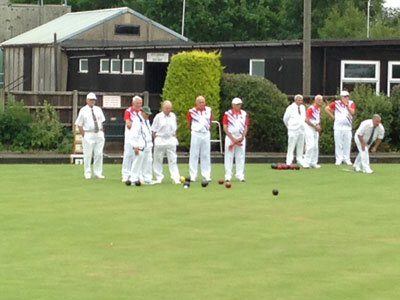 The Club provides Short Mat Bowls in the winter and Outdoor Bowls (EBA) in the summer. It is housed in a modern and comfortable pavilion whose facilities include a fully-licensed members’ bar. The bar is run by members on a voluntary basis and charges moderate prices. The pavilion contains two mats for the Short Mat section. Outdoors the main facility is the full-sized six-rink bowling green maintained to high standard. The club is open, for Short Mat or Outdoor Bowls as appropriate, for seven days a week. 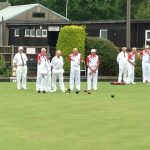 The bowls available comprise purely friendly internal matches, internal leagues and other competitions, and a wide variety of friendly and competitive matches against other clubs. In the summer touring teams from other parts of the country are often entertained and the club also hosts Norfolk county matches from time to time. Very family-oriented, the club prides itself on a friendly social atmosphere and holds a regular programme of social functions (dinners, parties, quizzes, theatre trips, seaside trips etc). The pavilion is sometimes hired by members for private functions. It is also used fortnightly by the Attleborough Probus Club and by a community singing group “Sing Your Heart Out”..